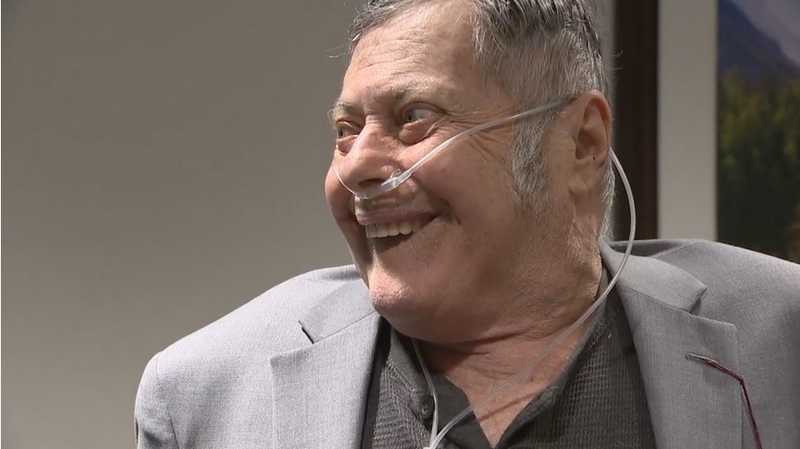 Gresham, Oregon — When doctors told Joseph Beaupre he had only a few months to live, the army veteran knew exactly how he wanted to spend his remaining moments. Beaupre told his care providers that he wanted to celebrate his son Tracey’s graduation next year by wearing a new suit to the commencement ceremony. However, Beaupre’s doctors didn’t believe he would live to see that day. That’s when Season’s Hospice stepped in to grant Beaupre’s wish. The organization, which provides care for the terminally ill, sometimes fulfills wishes for its patients. “He expressed . . . that he would love a new suit, he loves to get dressed up,” said hospice nurse Andrea Zimmerman. So, Season’s Hospice partnered with Joseph A. Banks store in Portland and a local tailor to gift Beaupre a new, custom-fitted suit. Courtesy of other community donors, Beaupre then enjoyed a limousine ride to Ringside Steakhouse, where he celebrated his son Tracey’s academic achievement with a gourmet meal. The restaurant provided Beaupre’s dinner free of charge. “He is an ‘A’ student, he’s been waiting 10 years to graduate,” Beaupre said of Tracey. Thanks to Season’s Hospice, Beaupre was able to honor his son’s hard work in style.